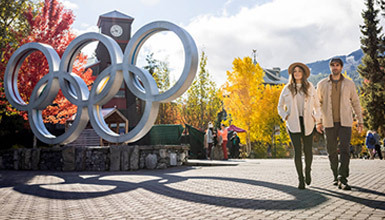 The Whistler Village Beer Festival is held annually in the fall and is a six-day festival of craft beer featuring two tasting events in Whistler Olympic Plaza plus cask nights, beer battles, foodie nights and more. Here’s everything you need to know about the event so you can plan your festival today. Description: Mingle with fellow beer enthusiasts and sample from some of the best breweries in British Columbia and the Pacific Northwest. Think delicious beer, food, live music and great beverages with previous years hosting over 140 beers from 70 breweries. Over 70 breweries are expected to attend the festival - Visit the WVBF website for the full list closer to the event date. *This event is restricted to guests over the age of 19. Additional Sampling Tokens will be available for purchase on-site, maximum of 10 tokens per purchase. Non-refundable. It’s not just a single day of beer. 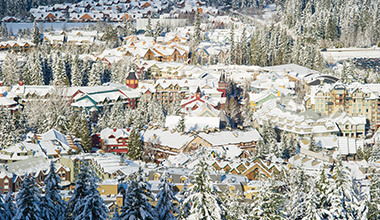 In addition to the Main Events on Saturday and Sunday, the Whistler Village Beer Festival covers six days of cask nights, tastings, and special dinners. Extend your stay in the mountains and sample something different every day. The full 2019 festival line-up has not yet been released. Please check back again in summer 2019 for information on upcoming events. 2:00 PM – 6:00 PM Axes & Ales Forged Axe Throwing, Coast Mountain Brewing & Whistler Brewing Co.
See Whistler from a new perspective with the PEAK 2 PEAK Gondola, then have beer with a view on the mountain! Hint, having all of BC's best breweries in one place is just a partial reason you need to go to this unique beer festival.